Remember that the Poetry Out Loud Contest takes place tomorrow starting at 3:30 in the media center. Come with your cool shades and be prepared to snap your approval as students recite poetry and compete to be the best. The winner will move on to an area contest at Hub City and then on to state and then national. Inspired to read, recite, or write poetry? 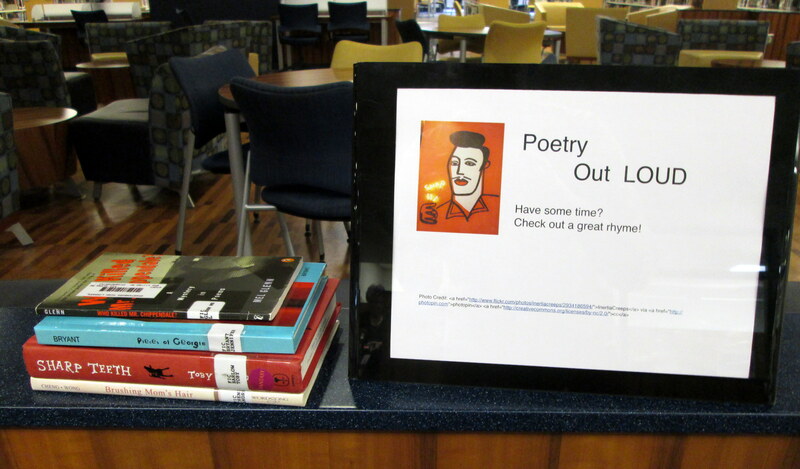 Check out our special display on the blue ledges near the front of the library.